There are times when I feel the kids could use a little more teaching in a specific area of math. There are 20 mini courses now available for digital access. This is an internet program and you are given access to the mini course for a year. The prices range very reasonably from $9.99-$19.99 for a mini course. These courses are designed for one person. 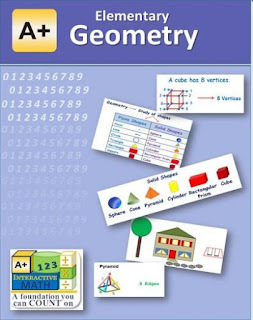 The first course we reviewed was Elementary Geometry. 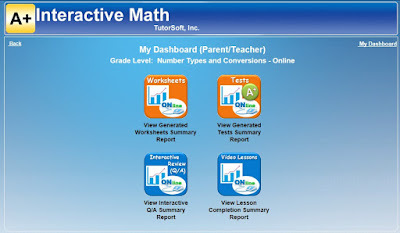 There are online videos, lessons, worksheets & tests, and online reports. We always began with the video lessons. We did have to decipher a bit how to get to the correct place on the lesson. As you can see in the photo below, you need to click on the folder on the left, and then find the correct point that you are at. It isn't easy at first glance to figure out where you left off, and with the titles of the lessons, it was a hit and miss for us to guess where we were unless we wrote it down. I used this with my 11 year old, and it was too basic for her. I should have gone with the advance geometry but for sake of review I had her keep going with it. The video voice is very robotic, and doesn't sound like a real person. I know some kids don't mind that, and others are not as found so I thought I should mention it. The video isn't that long to watch, and you can print out the lesson plans in color to reinforce what they are learning. After watching the video you have some questions to answer on the lesson. At the end of each video you have to press update lesson status to be complete, located in the top right corner. If you don't click on this it doesn't record that you have completed the lesson. We didn't know this at first and were running into pop up errors that we didn't understand. 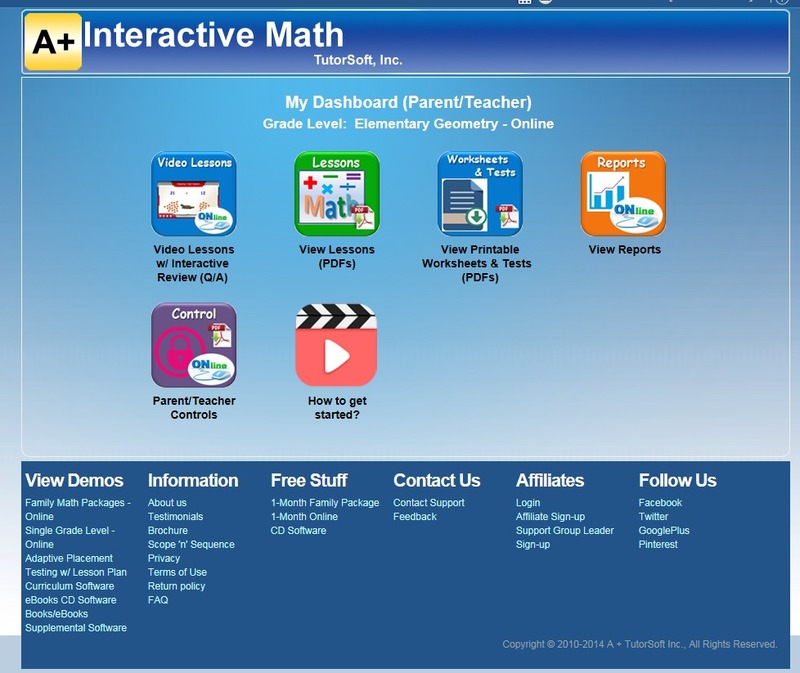 The interactive question and answer section reads the question to you and offers up multiple choice options. They often have an "All of the above' for the last option. I often had to mark how many we got right and wrong at the closing of the questions as it didn't seem to record it well. Again there is a button to click on at the right top of the page where you fill in the blanks. There are 19 lessons in this mini course, and easily done in just four or five week. 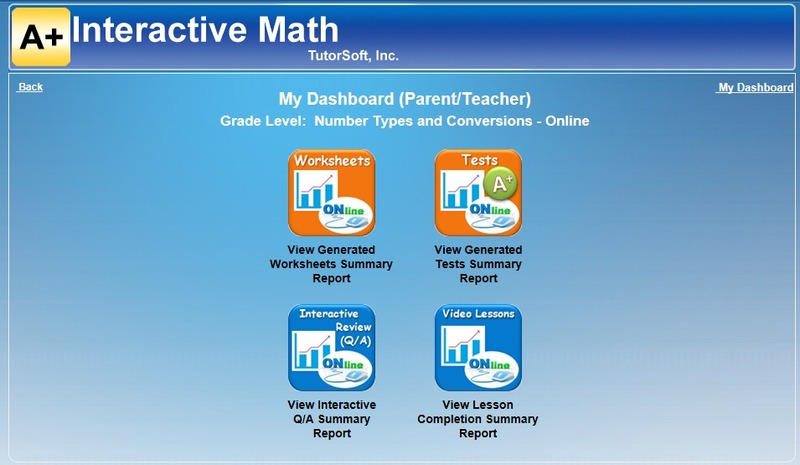 In just a short time you have utilized a topic specific program to bring your student the additional teaching they needed for success. There is a three page worksheet you can print out with each lesson. These are multiple choice with geometry. We chose to not print them, rather to just read them online and answer them. 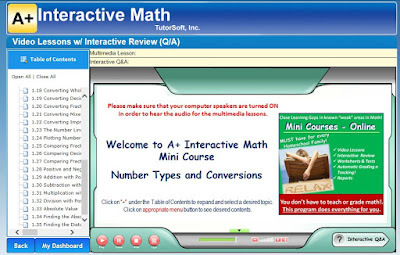 The second course we reviewed was Number Types and Conversions. There are 35 lessons in this and they cover a lot of material. This course was very similar to the Elementary Geometry in set up. And once you figure out the ins and outs it is fairly easy to use. My daughter would just do it on her own and yell if she needed help. One feature I really loved was having the option as the teacher to have reports generated. This is why it is important to make sure you have submitted the lesson for completion. I can see how my daughter did on each question and answer section, and it even keeps a running percentage for me of her grade. This was also helpful to see where we were in the video lessons if we weren't sure. I love how these are specific lessons geared toward problem areas, or areas you seem to be lacking in instruction. It is very helpful to our homeschool curriculum. See what my crew mates thought by clicking on the banner below. Also be sure to check out A+ Interactive Math on these social media sites.